Meg Whitman has emerged as a leading frontrunner to take charge of Uber, with the Hewlett Packard Enterprise CEO topping a shortlist of contenders. Following a whirlwind of media speculation, Bloomberg reports claim that Whitman has already held meetings with senior representatives of the ride-sharing app, with a new leader expected to be announced within six weeks. Despite no concrete confirmation of Uber’s intention to make a move at this stage, Bloomberg said the San Francisco-based company has compiled a shortlist of “fewer than six CEO candidates”. Within that list is Whitman, who is allegedly viewed internally as the ideal replacement for outgoing CEO and founder Travis Kalanick. Should such rumours have merit however, Whitman would join a business besieged by crisis, following the departure of Kalanick in June, allegations of sexual harassment and the subsequent dismissal of over 20 employees. Yet despite the speculation, Hewlett Packard Enterprise has swiftly denied the news, insisting that Whitman is committed to the vendor for the long-term. “As Meg has said several times before, she is fully committed to HPE and plans to stay with the company until her work is done,” a HPE spokesperson said. Having operated as president and CEO of Hewlett-Packard from 2011 until 2015, Whitman was tasked with leading the tech giant’s turnaround internally, and subsequent separation into two companies. As CEO of Hewlett Packard Enterprise, Whitman - labelled by Bloomberg as the "Most Underachieving CEO" in 2013 - has since spun-off the vendor's Enterprises Services division as DXC Technology and its Software division to Micro Focus. Previously, the American executive served as president and CEO of eBay from 1998 to 2008, overseeing the company’s growth from 30 employees and $4 million in annual revenue to more than 15,000 employees and $8 billion in annual revenue. 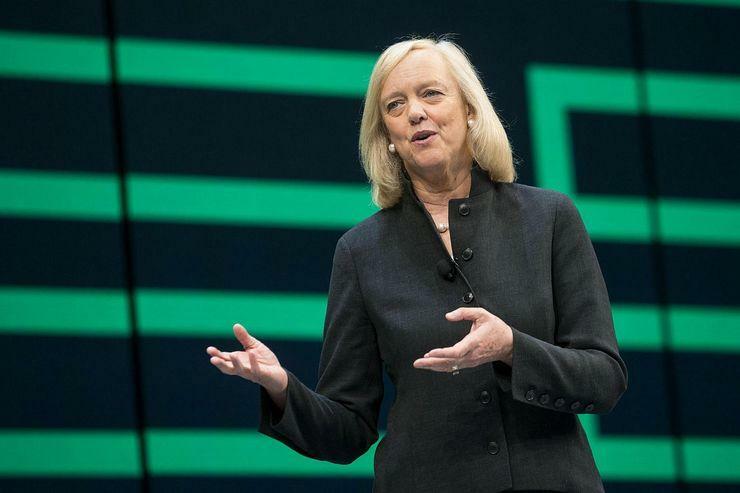 While HPE has strenuously denied Whitman is making plans to step away from her leadership of the company any time soon, HP Inc. told shareholders on 25 July that Whitman had decided to step down from the company's board of directors, effective 26 July. Whitman had occupied the post of HP Inc.'s chair since HP's 2015 split into two separate entities, HP Inc. and HPE. Chip Bergh, who was serving as the company’s lead independent director, has been appointed to serve as the board’s independent chairman.